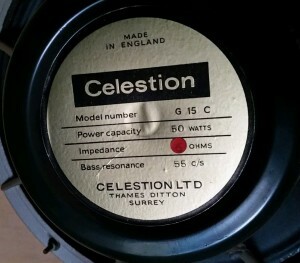 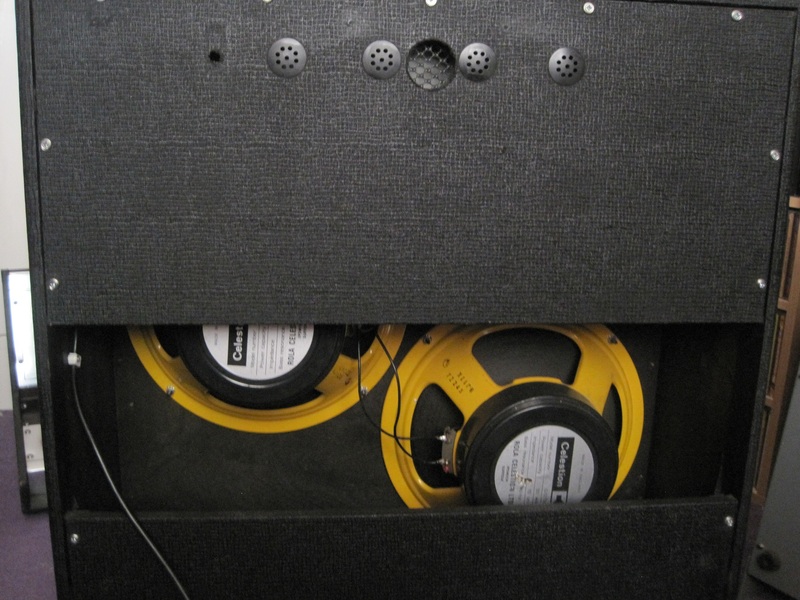 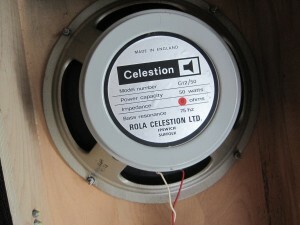 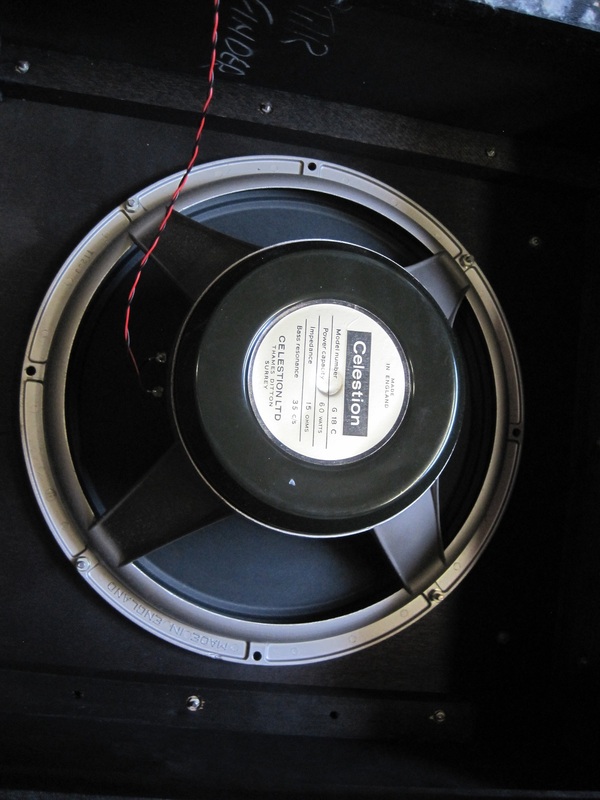 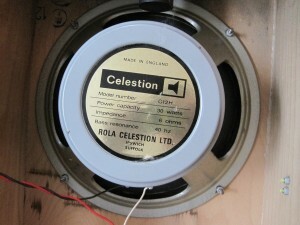 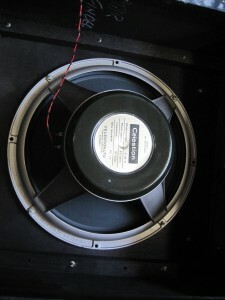 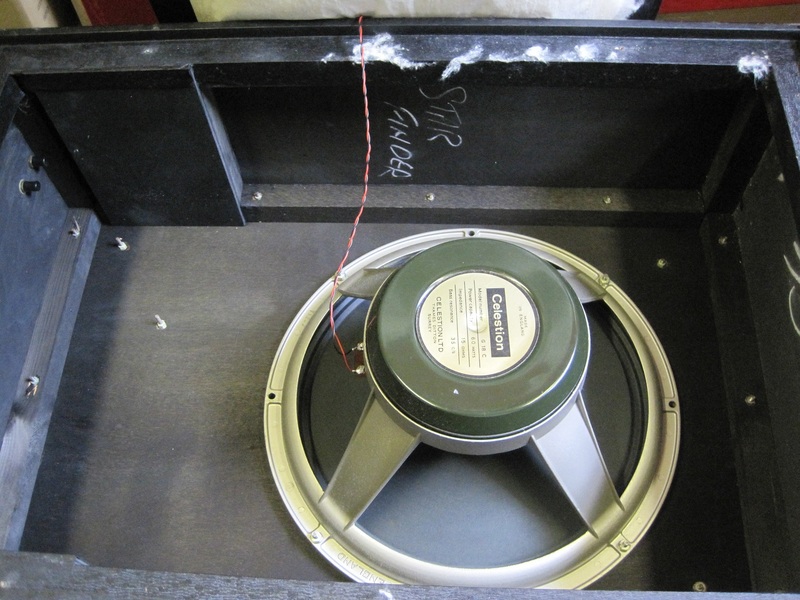 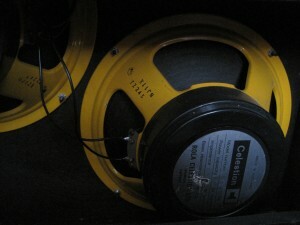 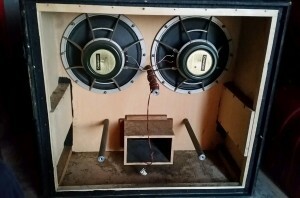 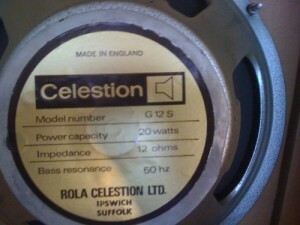 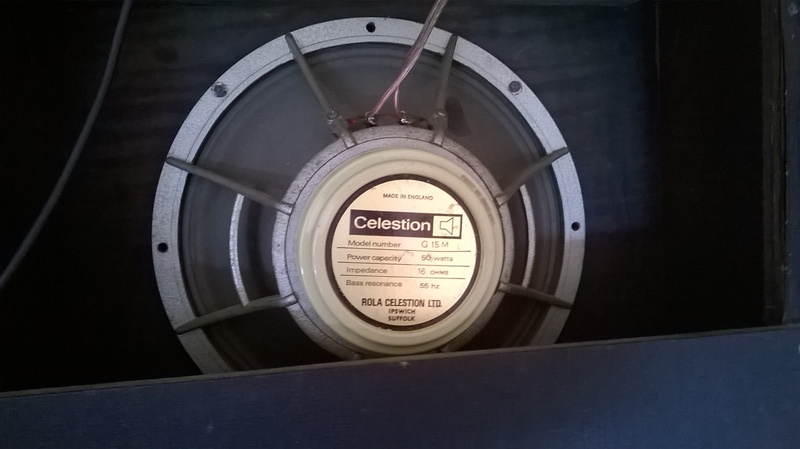 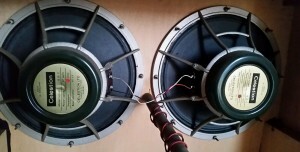 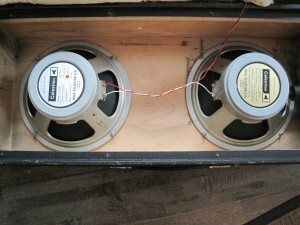 The following pics show some examples of Celestion drivers used in WEM cabs. 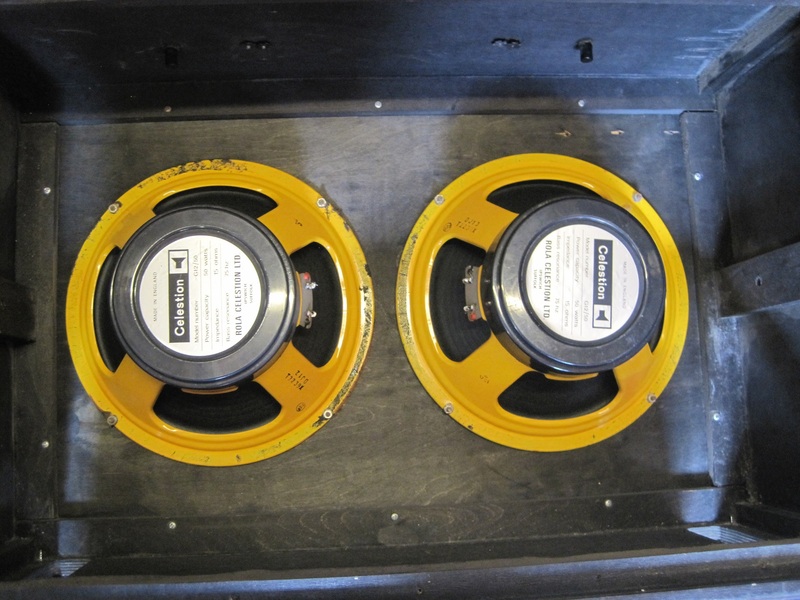 They include 15″ drivers used in Twin Reflex cabs and in Dominator Bass combos and they also include 12″ drivers used in PA cabs and in 2×12 guitar cabs. 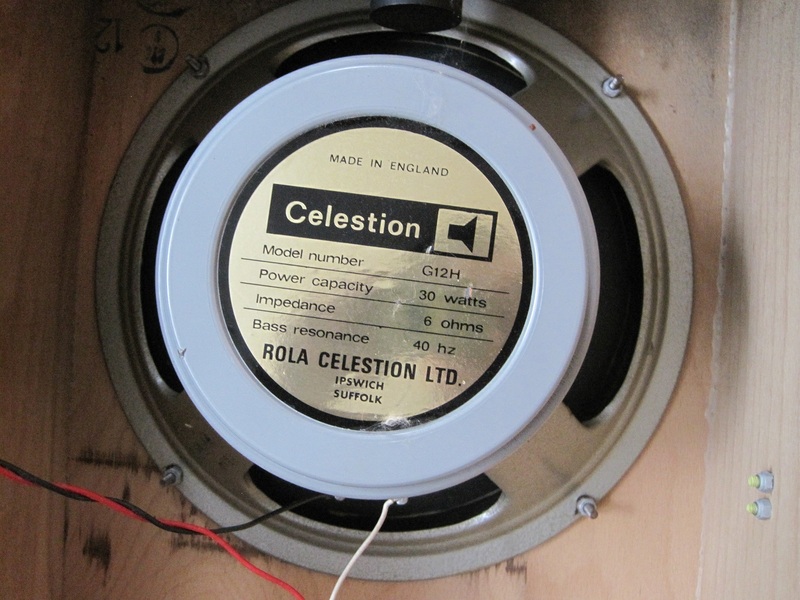 I’m not 100% sure that the yellow framed 12″ Celestions were original to the cab. 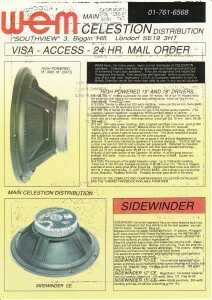 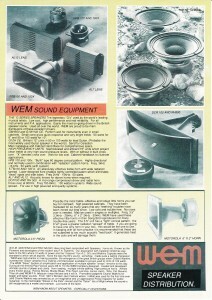 And here are a couple of WEM leaflets which show that WEM used and distributed Celestion drivers. I believe the leaflets are probably from the late 1980s / early 1990s.